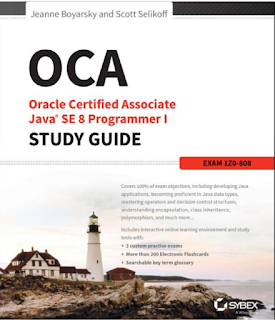 If you are preparing for Oracle Certified Associate, Java SE 8 Programmer, also known as Java SE 8 Programmer I or OCAJP8 exam and looking for some good resources e.g. books, study notes, and mock exams then you have come to right place. I have been sharing some of the most useful resources for Java 8 certification aspirants ever since the exam was launched. You can find a lot of this exam and essential resources in this blog. To continue that tradition, I am going to share some of the best books to crack the Java SE certification i.e. OCAJP 8 (1Z0-808) and OCPJP 8 (1Z0-89). Yes, you need to pass two exams to become Java 8 certified professional. The OCAJP is also a prerequisite for OCPJP exam, which is a professional level exam. Alternatively, if you already hold a Java certification e.g. Java SE 6 or before then you can take one of the upgrade exams e.g. 1Z0-810 to become Java SE 8 certified professional. 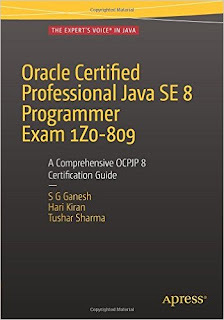 In this article, I am going to share some of the best books to prepare for Java SE 8 certification, which includes books for both OCAJP 8 and OCPJP 8 exams. If you are preparing for any Java SE 8 certifications e.g. Oracle Certified Associate, Java SE 8 Programmer 1(1Z0-808), Java SE 8 Programmer II (1Z0-809) or Java SE 8 Programmer II upgrade exam (1Z0-810) then you can use these books for your preparation. Since Java 8 exams are still relatively new there are not many free resources available online, which are latest and up-to-date, but thankfully these books and a couple of free Java 8 Mock Exams are available online, which you can check to prepare well for Java certification. Here is a list of good books available for Java SE 8 certification, specially prepared for Java SE 8 Associate Certification i.e. 1Z0-808 exam. This was one of the first books for ORacle Certified Associated Java SE 8 programmer 1 or OCAJP 8 exam, but it is still one of the best books on the subject. One of the authors of this books is moderator or coderanch forum, which is one of the best places to hang around if you are preparing for any Java certification. This is one of the best books for this exam (1Z0-808) from Manning Books and Mala Gupta. It covers 100% syllabus and exam topics and also got a couple of mock tests to prepare you well. The books is written keeping OCA Java certification in mind and that's why concepts which are important for the exam are highlighted well. This is a very handy book to keep track of new features from Java 8. 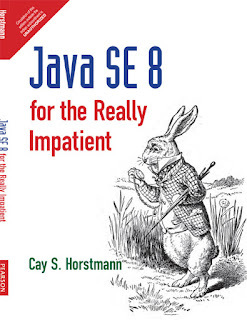 The best part of this book is that it not very lengthy and cover all essential concepts of Java SE 8 release and that's why it is aptly named as "Java SE 8 for the Really Impatient". I strongly recommend going through this book at least once to get familiar with essential Java 8 concepts. Btw, if you already have any Java SE 7 book you can also use that but then you need to prepare for Java SE 8 objectives separately. You can also take a look at following Java 8 books to learn more about new features in detail. 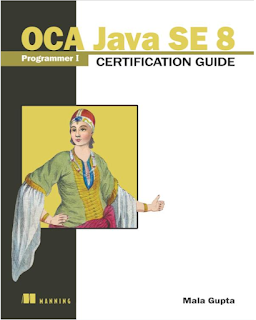 If you have already passed OCAJP 8 or 1Z0-808 exam then you can refer following books to pass the next stage of Java 8 certification. 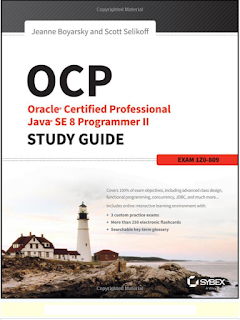 Only when you pass the OCPJP 8 or 1Z0-809 exam, you will be entitled to Java 8 certification. This is one of the best books to pass the second part of Java SE 8 certification. This is also the second book by Ganesh, Hari, and Tushar on Java certification, their earlier book on Java SE 7 certification was hugely popularly and this one also lived up to expectation. This is also the 2nd part of Java 8 certification book by Jeanne Boyarsky and Scott Selikoff. The first book is listed on OCAJP books section. You can even buy both of the books together and may get some discount. These were two of the best books to prepare for OCPJP 8 certification exam (1Z0-809). I also suggest you take a look at these Java 8 mock exams, they are sample questions from reputed vendors like Whizlabs, Entuware, and JavaPracticeQuestions, and most importantly they are up-to-date and specially targeted for Java 8 certs. This list contains both free and paid resources (mainly mock exams). I strongly recommend buying mock exams if you are serious about a good score, they won't cost you more than 20USD and they are worthy of every penny spent. That's all about some of the best books to prepare for Java SE 8 exams. Remember, OCAJP 8 and OCPJP 8 is based on Java SE 8 so you also need to learn new features of Java 8 e.g. lambda expression, streams, new date and time API and so on. Treat it as a good opportunity to learn Java 8 and not just to get certified. Code as much as possible and only take mock exams from Whizlabs and Enthuware, when you are fully ready. Thanks for reading this article so far. If you have found these books useful for Java SE 8 Certification then please share with your friends and colleagues. If you have any question or feedback then please drop a comment. P.S. : If you are looking for a course to prepare Java SE 8 certification then Oracle Java Certification - Pass the Associate 1Z0-808 Exam! from Udemy is a good place to start it. It explains about new features of Java 8 required for OCAJP 8 exam.